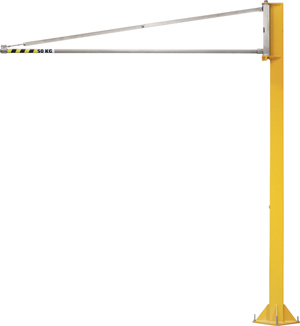 The jib crane is a lightweight PFTL reserved to the suspension and movement of electric and pneumatic tools.The use of this model is not recommended for lifting loads other than tools. Rotation occurs on 270°. Manual shifting of the load. floor fixing is assured only by chemical anchors.